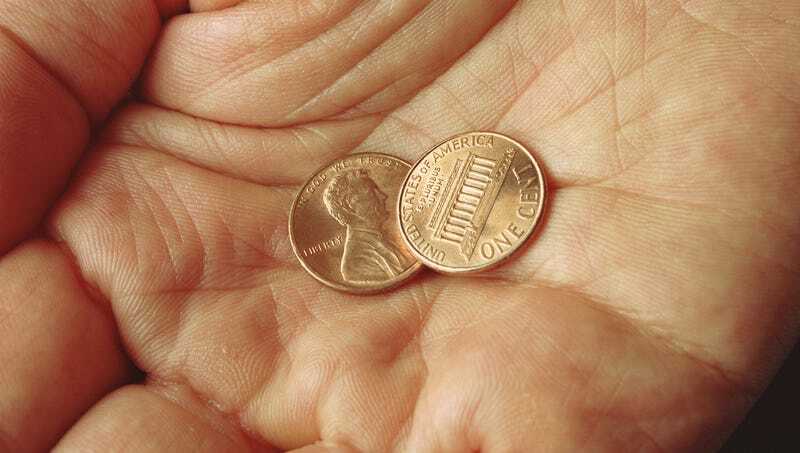 The U.S. one-cent coin costs more money than its face value to produce, which has led to debate over whether it’s worth continuing to mint and keep in circulation. The Onion presents the case for and against getting rid of the penny. Will instantly make all previously issued pennies rare collectors’ items worth up to $750. Surely nobody in our wildly prosperous nation is so poor that they need to keep track of individual cents. Will finally erase all memory of Abraham Lincoln. Would devastate the take-a-penny-leave-a-penny economy. Will take jobs from hardworking Coinstar machines. A penny can be used as a very small table. If pennies are outlawed, only outlaws will have pennies.